Tris(1 3-dichloro-2-propyl)phosphate | Laura's "Rules"
After years of being duped by stooges from the chemical industry, you have finally taken a big step in the right direction. 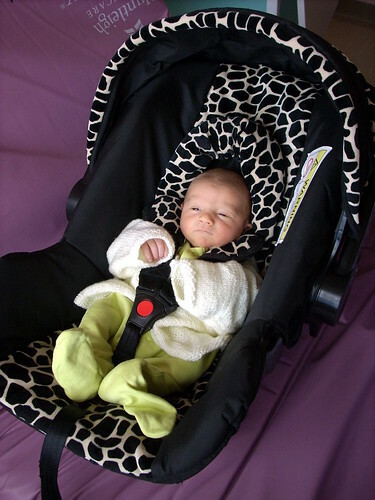 Your proposed rule on flame retardants in furniture (TB 117-2013) would greatly improve the lives of both Californians and the rest of America, which buys furniture impacted by California’s standards, by allowing furniture makers to drop the use of IQ-destroying, fertility-lowering, carcinogenic chemicals. Laboratory research on TB117 supports this lack of measurable fire safety benefit. A study at the National Bureau of Standards in 1983 showed that following ignition, the important fire hazard indicators (peak heat release rate and the time to peak) were the same in TB117-compliant furniture where the foam was treated with chemical flame retardants and in non-treated furniture. A small flame was able to ignite both regular furniture and furniture meeting the TB117 standard—once ignited, the fire hazard was essentially identical for both types. A 1995 report from the Proceedings of the Polyurethane Foam Association provides further evidence that TB117 does not improve fire safety. Small open flame and cigarette ignition tests were performed separately on 15 fabrics covering TB117 type polyurethane foam, conventional polyurethane foam, and polyester fiber wrap between the fabric cover and the foam cores. The study found no improvement in ignition or flame spread from a small open flame or cigarette ignition propensity using TB117-compliant foam. The authors also provide other reasons why the old California test, which exposed the internal foam directly to flame, is pointless — for one, because the fabric often also catches on fire and can provide its own ignition source. Nonetheless, California evidently was taken in by chemical company goons posing as fire safety “experts” touting lies and exploiting the tragic deaths of infants for their own profits. Interestingly, California lacks a law that provides penalties under the law for lying to state officials or lawmakers. In contrast, federal law has criminal penalties for intentional deception of a federal official, and the federal rulemaking docket at the CPSC on flame retardants, curiously, does not have any comments on burned babies as a part of the submissions. My conclusion? You guys should get one of those laws that makes it illegal to lie to you about important things. Many of these chemicals are now recognized as global contaminants and are associated with adverse health effects in animals and humans, including endocrine and thyroid disruption, immunotoxicity, reproductive toxicity, cancer, and adverse effects on fetal and child development and neurologic function. The estimated cancer risk for a lifetime of exposure to TDCP-treated upholstered furniture was 300 per million. 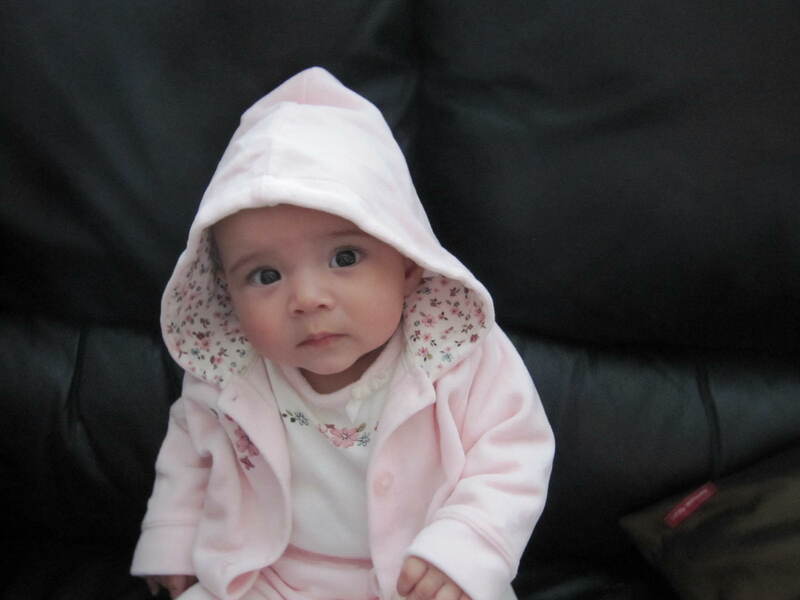 In children, the estimated cancer risk from exposure during the first two years of life alone was 20 per million. Both of these risks exceed one-in-a-million. A substance may be considered hazardous if the lifetime individual cancer risk exceeds one-in-a-million. Over the past 20 years, there has been some increase in the incidence of children diagnosed with all forms of invasive cancer, from 11.5 cases per 100,000 children in 1975 to 14.8 per 100,000 children in 2004. And that’s just for cancer risks. There’s also reproductive harm, attention deficit issues, and other health damage linked to flame retardants. For just one example, here’s sobering coverage of a 2012 study linking maternal-fetal levels of PBDEs, another ubiquitous flame retardant found in 97 percent of the study subjects, to delayed development in the child at age 7. In sum, you’ve royally screwed up. The best thing to do when you’ve made a colossal error in judgment? Apologize and try your best to make it right. There’s really no two ways about it, California: you owe Americans a new couch. One that won’t poison our homes and make our children sick. One that won’t show up in our bloodstreams, ‘fer Pete’s sake. Seriously. This is really not too much to ask, given the harm you’ve caused. IMHO, the chemical companies could pay for it out of the profits they made peddling all that cancerous stuff. Certainly, the good people of California, who have the highest levels of flame retardants in their bodies in the world, have suffered enough. At any rate, I look forward to hearing from you. A (flame-retardant-free) loveseat in a nice brown or beige would do just fine. Must Read: Flame Retardant Chemicals in My Gatorade? This is cross-posted from the Safer Chemicals, Healthy Families blog here. Much thanks to the wonderful folks there for publishing it! Here’s a basic truth every Mom knows: it’s far easier to avoid making a mess than to clean it up after the fact. And here’s another fundamental rule we all tell our kids: do not lie. Sadly, in the case of chemical flame retardants, both of these rules for responsible behavior have gone by the wayside. As the powerful Chicago Tribune series, Playing with Fire, showed last spring, the chemical industry created “Citizens for Fire Safety,” a front group which lied to lawmakers in California about the need for chemical flame retardants in furniture. Yet research shows that there is no proven safety benefit from using flame retardants. As it turned out from the painstaking investigation by Tribune reporters, the group’s main “safety” representative, Dr. David Heimbach, actually invented details about children who had burned to death in tragic circumstances, twisting the terrible, heart-breaking stories to serve the lobbying goals of the three chemical company backers for the astroturf group. This went beyond the typical obfuscation in industry lobbying – it was fraud on the legislature. Here’s something interesting: unlike the federal government, the state of California does not have strong laws to penalize people who lie to government officials. In contrast, if you lie to a federal official, you can go to jail or pay a hefty fine. When I scoured documents submitted to the federal Consumer Product Safety Commission when it was considering its rule on flame retardants, I found nary a story about burned babies. My own conclusion: they chose to lie when they thought they could get away with it. So that’s the whopper. What about the mess? A new study out just yesterday shows that a stunning 85 percent of sofas contain harmful flame retardant chemicals, and that of couches sold over the past seven years, nearly all – 94 percent – have them. Researchers surveyed the foam in 102 sofas from all over the country through aptly named “couch biopsies,” analyzing the chemicals. The industry’s veil of silence and repeated refusal to share with researchers what’s in their sofas makes this painstaking approach necessary. The study also found that pounds of chemicals are used, as much as 11 percent of the overall foam. This confirms what we all thought, but is still outrageous when you consider that my family, and perhaps yours, spends a small fortune on organic foods to eliminate parts-per-million of pesticide residues. Chemicals being used as flame retardants are linked to health harms, including lowered fertility and IQ and cancer-causing impacts. 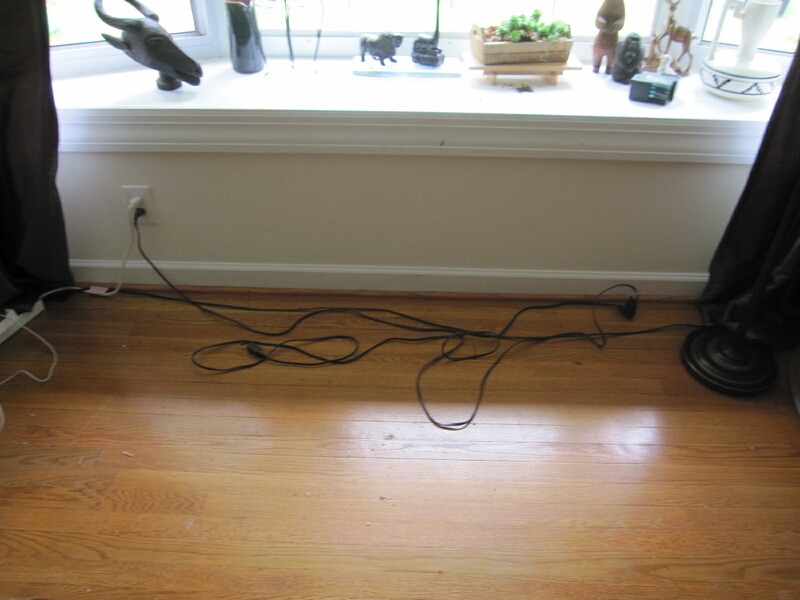 We also know that these substances break down over time, becoming part of household dust. Once they are in the dust, we all breathe them in. Toddlers and young children, who spend a ton of time on the floor and who put everything, including their hands, into their mouths, have three times more of these dangerous chemicals in their blood than do adults. A recent study also found a correlation between a pregnant woman’s level of one chemical and negative health outcomes in the child at age 7, linking it to decreased IQ, fine motor coordination, and an ability to focus attention. The real up-shot of this study is that we now have a huge mess on our hands. There are the human costs: most American homes are now polluted with pounds of harmful chemicals, and we will have to measure, as we did with lead pollution, the value of our children’s lost IQ points, likely for several generations. And then there are the ecological costs, which are also staggering. Furniture sales (though not just sofas and upholstered chairs) totaled about $8 billion per month in 2012. Consider the resources involved, the packaging and shipping of such large items, and the pride everyone feels in refurnishing their home. And now think about the landfills as many people replace these items with safer sofas and chairs. This foam will break down for years, getting into our environment and bloodstream of humans and animals. Given that the rule in California was suspended by order of the Governor, companies should now realize the significant opportunity to sell couches without these chemicals in them to a newly awakened American consumer. And they should consider that at least one of these chemicals – chlorinated tris, or TDCPP – now requires a label as a probable carcinogen under a separate California disclosure law. The new study found that tris is the substance most commonly used in furniture after 2005, but I doubt consumers will be happy to buy furniture with cancer tags sticking out of them. And what about a more radical idea: requiring furniture makers to take back and replace it with furniture without chemical flame retardants? If the government made them collect and remediate the chemicals, we would get far less of it dumped into the environment. And it would only be fair: consumers should not have to pay to replace new furniture, just so they – and their children – are not poisoned in their living rooms. Instead, those that profited should pay for the clean-up, just as we do with tire recycling programs or Superfund sites. Of course, that’s just a fix for sofas. We’ll see this story about greed, lies and profits on chemicals over and over again, unless we do something fundamental to require the industry to put people first. The Safe Chemicals Act, which got a hearing in a key Senate committee last spring, is the answer, because it would set up a system for approval of chemicals that requires real consideration of the impacts they may have on health, including the health of vulnerable groups like children. Here’s how to ask the Senate to act. You can think of the bill as the good parent that the chemical industry obviously needs, to teach them the basics of how human beings should act. A new study in the peer-reviewed journal, Environment Science and Technology, was just published today by Heather Stapleton. Its results confirm what she has been saying about the ubiquity and harm from flame retardants in sofas, and gives more credence to my incessant complaints, but that doesn’t really make me happy. At all. 85% of the couches tested had toxic or untested chemicals in the foam. The newer the couch, the more the toxic flame retardants were used. Flame retardants use by furniture manufacturers across the country is increasing. 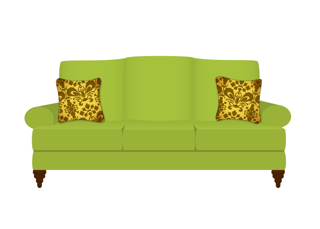 Of couches purchased in the last 7 years, 94% contain toxic chemicals added as flame retardants. In samples purchased prior to 2005, PBDEs were the most common flame retardants detected (39%), followed by tris (or TDCPP; 24%), which is a suspected human carcinogen. In samples purchased in 2005 or later, the most common flame retardants detected were tris (TDCPP; 52%) and components associated with the Firemaster550 (FM 550) mixture (18%). 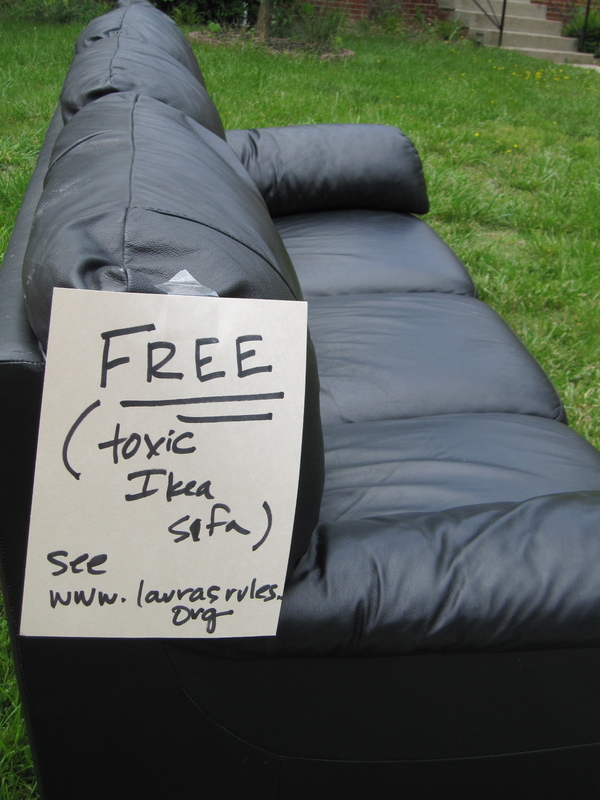 Almost all couches (98%) with the TB 117 label (indicating they comply with rules for flame retardants in California) contained the chemicals. Recent studies show toddlers have three times the level of their moms. These chemicals continuously migrate from products, to house dust, to children and pets. My pal Lindsay Dahl over at Safer Chemicals, Healthy Families has already written a great post on the study. As she says, the real solution to this problem is to address the elephant-sized toxic couch in the room: for Congress to get off its duff and enact comprehensive chemical reform, by passing the Safe Chemicals Act. The bill that would establish a system for ensuring chemicals are safe before they enter the market, and therefore our living rooms. The bill had its first historic vote in the Senate Environment and Public Works committee this past summer, has 29 Senate co-sponsors, and awaiting a Senate floor vote. Take action here, and let the Senate know the time for action is now. Not tomorrow. Now. New to the issue or the blog and want to know more? Start in this happy place, and all the other links are at the bottom. Insert loud howling sound here. Allen Ginsberg, bless his brilliant soul, didn’t even BEGIN to know what a teed off work-from-home mom sounds like when she can’t get a simple answer to her damn question. When the hideous, albeit allegedly flame retardant-free, foam, arrived for my new “adult-living” fireplace edges, I was struck by its clear resemblance to the foam we already have on the glass corners of the dining table. Further investigation revealed that I had been — gasp! shocker! — wrong in my frantic 2 a.m. googling of ebay for alternatives, and that it was in fact likely to be polyurethane, not, as I had thought, polyethylene. Those polys will get you every time. “P. U.,” thought I. What kind of material is this made of please? I.e., what kind of foam or plastic? Polyurethane or polyethylene? Etc. Ok, so friends, you tell me. Cry or laugh? I keep cycling between the two, but I’ll take your votes. The better ones sold by Rhoost, which were mentioned in the comments from a wonderful reader, are on back-order. If anyone knows of another source, please let me know! Maybe I’ll just duct tape some padding on the corners and along the edge, if I can rig it so that little fingers can’t just pry it off. In the meantime, the foam lives inside its plastic bag, and my living room stays better suited for a 2-year-old. And number two: DO celebrate when Jessica Alba, movie super-heroine and real-life Toxic Avenger who fights for chemical reform, retweets your post about hurtling an owl pillow through a Target, and your blog traffic hits near-respectable levels. In my view, this one RT means that Jessica and I are Internet besties, and I’m sure she concurs. Update: I ordered the corners from Rhoost for the table and hearth. They are a thick plastic and would work just fine if the corner had an underbelly — sadly, both my particular table, which is an artisan affair, and the hearth, do not have a lip, so the tension mechanism can’t be used. I tried using double-sided tape on just the top part of the protector, but they get knocked off all the time, and the tape does not adhere well to the plastic. It appears I’ll have to send them back. Update #2: My genius engineer hubs figured out that if we took the strappy things off the Rhoost corners, they would fit under the large glass topper for our dining room table, thereby protecting errant children from the sharp edges. See how that works? So we’re all better on the table, though still without a good solution for the hearth corners. If you have other ideas, I’m all ears! Maya had finally gone down for her nap this afternoon, and I thought it was the perfect time to finally read all of the many articles that the Chicago Tribune published last week on the harms of chemical flame retardants. I’ve been looking into this issue in a cheeky 4-part “Sofa Saga,” so I’d already skimmed a few of the pieces, but had not really had time to digest the whole series. I was reminded of the power of the investigation by Nicholas Kristof’s excellent column today as well. In 2006, researchers at the U.S. Consumer Product Safety Commission cautioned that adding chlorinated tris to furniture would expose children to nearly twice the daily dose deemed acceptable by the federal agency. The cancer risk for children during the first two years of life would be seven times higher than what most physicians, scientists and regulators consider acceptable, according to the safety commission’s report. Seven times the risk of cancer. Seven. My heart basically stopped for 20 seconds. My stomach rose up and took over my throat. The sofa I have from Ikea has chlorinated tris in it, according to research by Heather Stapleton. I sat on that couch almost every day of my pregnancy, and my daughter Maya has played on it basically every day of her 20 months of existence. Sometimes, she licks it. When not sitting on that sofa, I was self-righteously running around town tracking down sources for expensive grassfed, organic beef to get rid of trace amounts of pesticides. Or spending a small fortune on wooden toys. While sitting on that sofa, I chatted with the New York Times reporter who wrote an article calling me paranoid about toxic chemicals. While sitting on that sofa filled with literally pounds of carcinogens, I’ve spent hours researching healthier products for my family, including a sofa without flame retardants. They make fools of all of us. Some lame rationalizations flitted through my mind, while my heart grew heavy and sad. I open the windows sometimes, I thought. We vacuum. I began to feel physically sick. Fury does not really describe it. I tried to finish the article. But I was sitting on that sofa. A new, better sofa is eventually on the way, but it’s likely several weeks away at least, and maybe a month. I thought about sitting on the floor. And then I thought, fine. The floor it is. I was so angry that I was able single-handedly to put it out on the curb. I dumped it because it’s full of a particularly harmful form of flame retardants, called chlorinated tris, that was banned from children’s PJs in the late 1970s as a mutagen — and is also now known to be a potent carcinogen. I was already following this issue on my blog, but the Chicago Tribune series last week, which I am just reading now, made me actually get up and put it on the curb. I’m furious, actually. It looks like rain, so if you want it, better come and get it. Here’s the thing, Citizens for Fire Safety, you liars, I’m looking at you. And I’m a mom. If my daughter ever gets sick in any way that can be tied back to her nearly two years of crawling all over this toxic piece of junk, I will personally show up everywhere you try to deceive state legislatures to finish the job of exposing you that was started by the Tribune. And hey, chemical manufacturers, like the flame retardant chemical makers — Albemarle, ICL Industrial Products and Chemtura (“Chemtura”? Really?) — I’m telling you now, you have a problem that a little chemical switcherooni is not about to fix. I’m done letting you be the only ones who know what’s in my house, and in our air, and in my daughter’s blood. What’s in our bodies can’t be your proprietary little stew of hazards. You want to keep it proprietary? Keep it out of my house. I’m really over this experimentation on all of us. I’m so over learning two years down the road that, despite my best efforts, you’ve been poisoning my daughter, lying to lawmakers, and laughing all the way to the bank. You’ve messed with the wrong mom. And I’m sure I’m not the only one. You’d better hope that lawmakers in California get to you first.